"I have been learning sign language with Sensing Change for the last two years and gained my BSL level 1 & level 2. Having a profoundly Deaf sister, I felt that I needed to learn more and also it felt rather selfish not trying to learn more about my sister’s language and having her ‘lip read’ mine! 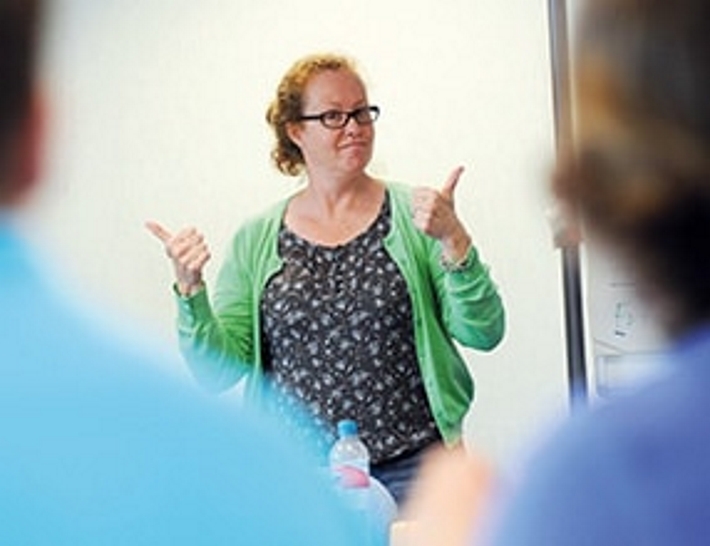 My BSL teacher for the past 2 years was Eileen, who is a profoundly Deaf very experienced tutor. I feel having a Deaf tutor is the best way of learning BSL as you learn more about Deaf culture and the difference in the BSL way of talking/signing. Having a Deaf tutor also gives you a chance to be with and experience a person with hearing difficulties and your signing improves as they will correct you if necessary in conversation. A Deaf tutor does not have the back up of hearing you ‘speak out’ your signing as a hearing tutor would and therefore things do not get over looked!"